Our Sunshine Coast Mercedes master technicians who are Mercedes UK trained are not only fully qualified and experienced but seem to have that special touch to perfectly understand the needs of Mercedes vehicles and specifically service them to maintain that luxurious drive experience that you know and love. If your Mercedes is experiencing a problem or you feel something’s not quite right, perhaps your engine light has illuminated or you’ve got timing chain issues – our master technicians most likely know and have experience in repairing your particular issue and can make your fix quick and painless. With the latest Mercedes computer diagnostic tools our technicians can access detailed information from your vehicle’s ECU (engine control unit) including fault codes to definitively diagnose the issue. Our technicians can then quickly make the required repairs or service adjustments to see your vehicle once again at optimal performance. To keep your Merc in tip-top condition our technicians only use genuine Mercedes parts sourced directly from Europe, and with our buying power we are able to pass on affordable pricing. An example of this is when our workshop had an S-Class Mercedes come in with timing chain issues and the owner had been to the dealer for advice. 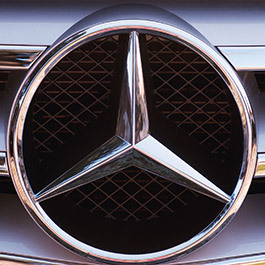 They were going to be charged $15,000 by the dealer but we were able to diagnose, repair and provide parts for just $6,000 using all genuine Mercedes parts and a highly-qualified team of Mercedes-trained master technicians. Needless to say that client was thrilled! To book your Mercedes service with the Sunshine Coast’s top master technicians, contact our office and we’ll arrange your car service and repair needs as well as a free courtesy car. So What Exactly Does a Mechanic do during a Mercedes Service? This is possibly the single most vital maintenance procedure that guarantees longer engine life. Motor engine oil, over time, tends to lose its ability to lubricate engine parts (even in a well-designed Mercedes) and collects metal and dirt particles, effectively causing your car’s engine parts to wear faster and of course work harder. Your Sunshine Coast mechanic should check your oils at every service and change your oil filter during every oil change, as well as examine the fuel and air filters which keep your engine clean. It is extremely vital to only use those fluids that are recommended by a Mercedes service provider or by the car’s owner manual, especially for steering, transmission and brakes. Other fluids could damage key vehicle components, and bring about risky driving conditions. Tune-ups on the majority of recent Mercedes engine models are not something an average owner can perform. This is because lots of replaceable engine components and parts are buried deep beneath wiring, hoses, covers, and emission control gadgets. These tune-ups are, however, critical for the well-being of your car. 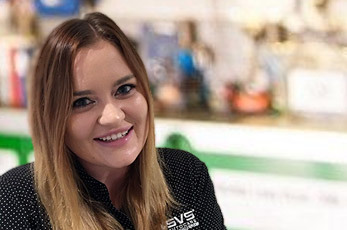 Our mechanics at SVS Autocare specialise in Mercedes servicing, tune-ups and repairs and welcome you and your vehicle to their workshop in Kunda Park on the Sunshine Coast.